Figure 15. Support frame for four water sampling bottles. This instrument accessory was found in the middle of pieces of scrap iron. 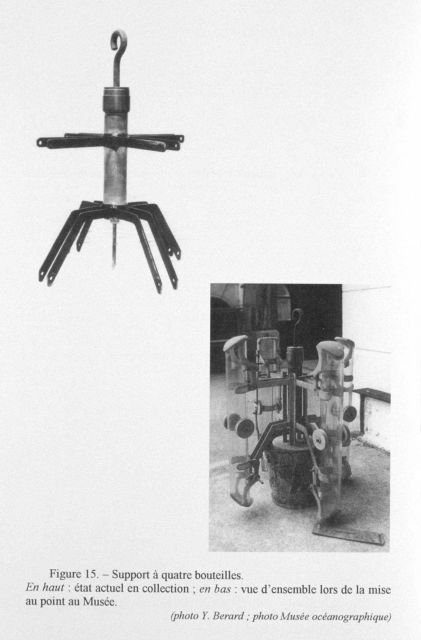 It was made in the museum workshop as shown in the accompanying photo by Jean Comelli and Jean Cros who worked on prototypes fabricated at the Museum’s workshop. It appears to be a forerunner of the modern rosette sample frame.